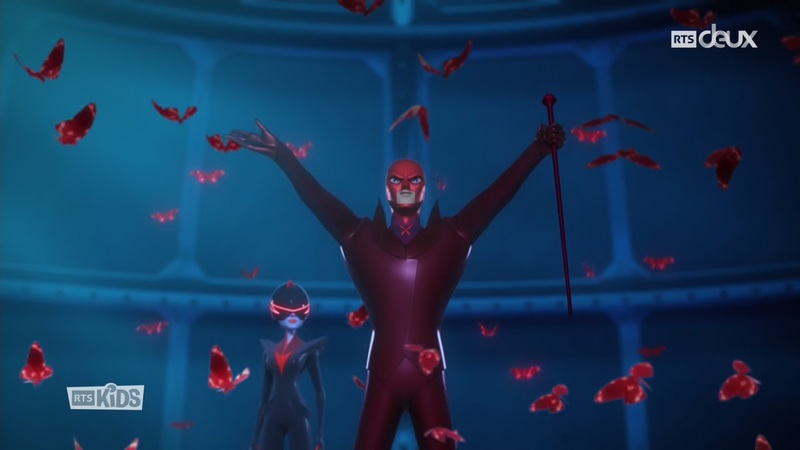 Dylan Hysen, Delaney Stovall, & April Collins recap Part 1 of the Miraculous Ladybug Heroes’ Day Season 2 finale, “Catalyst”. Hawkmoth’s english name better be Scarmoth in my opinion. I also think that Adrien’s gonna die at the end of this season, or disappear or something like that. He’s not gonna be okay next season. Anyways, there was also too much set up in this episode for it to only be two episodes. So I think that Hawkmoth is going to wish for Emilie and the screen is going to go black. Like we’ll have a cliffhanger on everything, like we won’t know if Adrien disappears or how it affects the world around them. Until season 3 where we see Gabriel with Emilie and Adrien being the one in the coffin. There was a leak with Jeremy zags instagram where Ladybug is with Gabriel at the coffin sanctum. Sooooo yeah idk. Maybe ladybug will give it willingly but I don’t think so. Also Mayura could have it’s plot B be a flashback about the Agreste family, showing them how they got the book and the miraculouses.